Our Superior King Bed Rooms or Superior Twin Rooms with two double beds are perfect for business and leisure travellers alike. 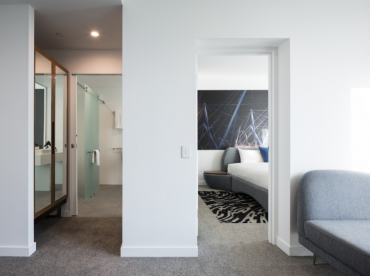 Floor to ceiling windows in our Superior Rooms overlook Musgrave Park with the choice of upgrading to a City View. * Keep connected during your stay with Smart TVs, Wi-Fi, broadband and USB ports. *Subject to availability. Upgrade fee applies.